5 star hotel in Platja d'Aro on the Costa Brava. Enjoy a unique place by the sea. - Direct access to the emblematic Cala del Pi small beach. - Chill out enjoying the magnificent views of the Mediterranean sea. 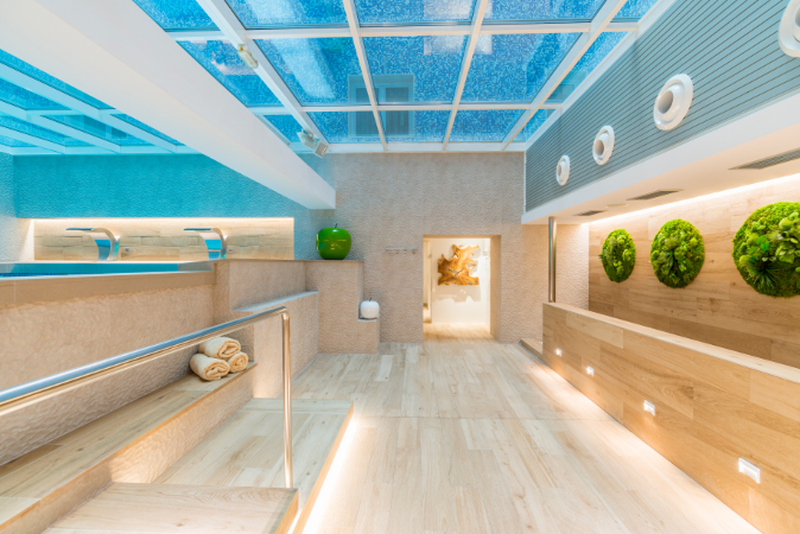 - A 700-m2 spa with exclusive treatments. - Creative cuisine from the Empordà region by the chef Enric Herce. A 4-star superior and charming hotel amidst the Solius Valley, in the Costa Brava. A former masia farmhouse, an old rural building typical to Catalonia located in an environment of authentic Mediterranean nature. - The peace and tranquillity of the Baix Empordà region have turned Tapiolas into the perfect place for couples. - Gastronomy inspired by the traditional Catalan cuisine based on the fresh products of the season. - Large area of gardens, outdoor swimming pool, pitch & putt, spa and solarium. - The perfect place for travel incentives and team building activities. Mountain, calm, elegance and resting in the Costa Brava. A place that combines the services of a luxury hotel with the intimacy of a private suite. - Avant-garde design suites with home automation equipment and weather an indoor private swimming pool or a double jacuzzi. - Quiet, away from hurries, it has everything to relax and enjoy life peacefully. - With access to all the services and activities of the hotel. - Very close to the best beaches of the Costa Brava. 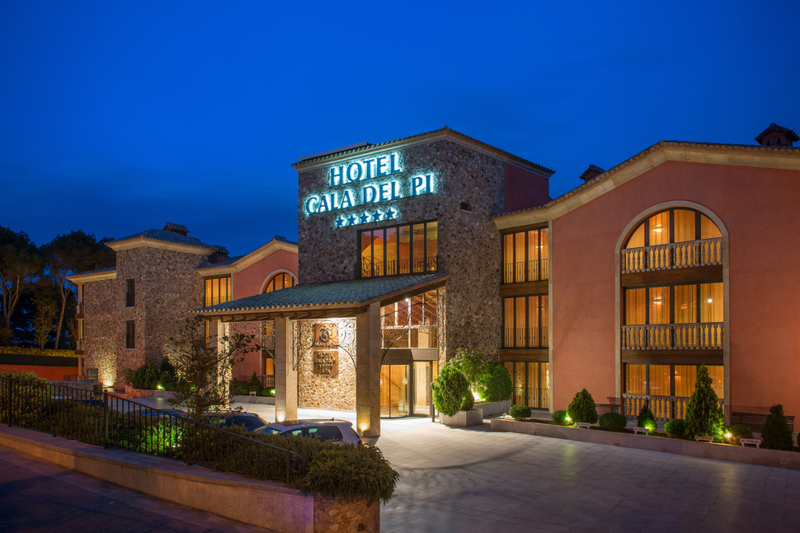 A 4-star hotel located 12 km away from Girona city and at only 800 m from the airport of Girona. - The perfect spot to combine business and leisure thanks to the comfort and the high quality of the hotel facilities. - Free shuttle service from the airport to the hotel and vice versa. - Spa, jacuzzi, sauna, outdoor and indoor swimming pools, and a solarium. - Perfect for weekend getaways. A 4-star hotel located in centre of El Prat de Llobregat, at 1.5 km from the airport of Barcelona. With direct access to the Fira de Barcelona trade fair facilities. At only four metro stations. - Corporate hotel at 15 minutes from Barcelona city centre. Indoor pool. - The ideal place to start or end your cruise voyage, special deals. - Exquisite cuisine with products from the region. - Various types of meeting rooms and halls to hold events, conferences, workshops, courses and conventions. A 4-star hotel in the Barcelona 22@ district. At only three metro stations from the city centre. - Close to the Port Olímpic marina and beaches. - The hotel is perfectly located close to the CCIB (International Convention Centre of Barcelona), the Teatro Nacional de Cataluña (Catalonia’s national theatre), and the Auditorio concert hall. - Spa, gym, sauna and private car park. - Mediterranean cuisine restaurant based on products from the region, ideal for business meals. - Meetings, workshops, courses, and banquets. A 4-star hotel located in the commercial old town of the city. - Close to the Museo Picasso museum, and at 3.5 km from the Palau de Congressos conference centre and the Centro Pompidou centre. - Varied gastronomy and a cuisine appropriate for all palates. - Panoramic views from the terrace that invite to relaxation. Live music. - With four meeting rooms and halls, the hotel is the perfect place to hold conventions, business meetings and banquets. A 4-star hotel located in Portals Nous, one of the most prestigious sport marinas of Mallorca. - The perfect base centre for regattas, boat races and competitions. - The hotel boast a large outdoor area of gardens and a children's playground that make it ideal for families, along with Balinese beds and a mini golf. - Special room for cyclists. Surrounded by six golf courses, it is also an excellent place for golf lovers. - Cocktails on the terrace, creative tapas and Mediterranean cuisine.